Pretoria – President Jacob Zuma has congratulated the Science and Technology Minister Naledi Pandor and her team for winning the bid to host the Square Kilometre Array (SKA) telescope. SKA Organisation announced on Friday that South Africa and Australia are to share the hosting of the most advanced scientific project. The two biggest components of the SKA will be built in Africa, while one will be built in Australia – about 70 percent of the facility will be built in Africa. “Africa is indeed rising. South Africa is confident that the country will deliver on the expectations of the continent and world,” Zuma said. The President further acknowledged that this mammoth achievement was possible because of the African Union endorsement and support from partner countries, namely, Botswana, Ghana, Kenya, Madagascar, Mauritius, Namibia and Zambia. 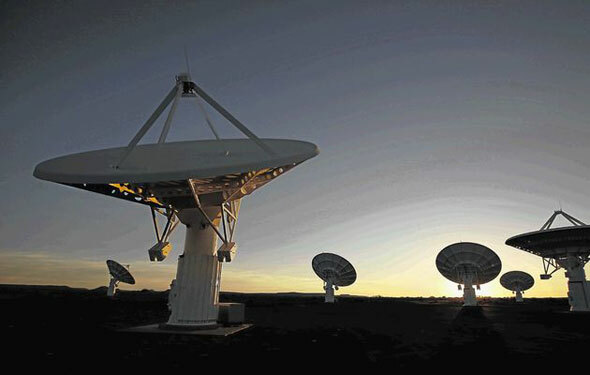 Pretoria – Cabinet has welcomed the decision by the Square Kilometre Array (SKA) Organisation to build the majority of the SKA telescope in Africa. 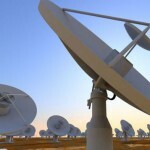 Science and Technology Minister Naledi Pandor announced last week that the SKA Organisation had agreed to construct one of the three SKA receiver components in Australia and two in Africa. “The much-anticipated decision … has been welcomed,” said Minister in the Presidency for Performance Monitoring and Evaluation, Collins Chabane, on Friday. “Cabinet congratulated the Inter-Ministerial Committee on the SKA and the SKA Project team, and extended appreciation to all South Africa’s partner countries – Ghana, Botswana, Kenya, Namibia, Madagascar, Mauritius, Zambia and Mozambique – for their continued support,” he said. In Africa, the SKA will extend over a baseline of 3 000km or more. A total of 3 000 mid-frequency dishes are expected to be built – most of them in the Northern Cape – with others spread across the continent in Namibia, Botswana, Zambia, Mozambique, Kenya, Ghana, Madagascar and Mauritius. Both South Africa and Australia have been working on precursors to the SKA – the 64-dish MeerKAT telescope and the six-dish SKA Pathfinder (ASKAP) respectively.